¶ 1 Leave a comment on paragraph 1 0 Literary Studies in the Digital Age: An Evolving Anthology is published by the Modern Language Association of America. It is the MLA’s first born-digital, publicly available anthology. It launched in 2013 and continues to grow. The editors welcome new submissions that will expand the breadth and depth of the collection, including pieces that offer primers on topics, tools, and techniques pertinent to computational approaches in literary studies as well as essays that deepen or nuance topics already covered in the volume. The editors also encourage readers to continue to comment on published essays. Comments help scholars develop ideas that will chart new directions in digital literary studies. 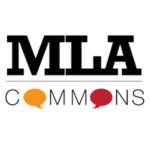 ¶ 2 Leave a comment on paragraph 2 0 MLA members can submit essays and ideas for future iterations of the volume and can upload drafts of their own work to the DLS Anthology group on MLA Commons. To submit, please read the call for papers and send your essay to the editors at lsda.editors@gmail.com. ¶ 3 Leave a comment on paragraph 3 0 We began the process of creating this anthology with the intention of providing a primer to core tools and techniques for computational approaches to literary studies. Yet, since literary studies represents a confluence of fields and subfields, tools and techniques, and since computational approaches come from a great variety of sources, it became clear that any primer would have to be dynamic and capable of incorporating a rich and growing array of methodologies. ¶ 4 Leave a comment on paragraph 4 0 As a result, we’re exceptionally pleased to publish this anthology with the launch of MLA Commons, knowing at the same time that our work here is not done. We are excited about the opportunity that the Commons and its community presents for building on the foundation laid by the initial contributors to Literary Studies in the Digital Age. Hi Steven — Thanks for your comment / question! As we note in our introduction, we are pleased to consider building on this foundation of articles over time, adding to its breadth and depth of address in response to our field’s engagement with the digital. I am working on cultural studies approach to science fiction film which creates a theory of narrative especially for film. I riff off of both Donna Haraway and Bakhtin. Does something like this fit into your rubric? I only see more technical subjects whereas I am addressing how the visual narratives we have are changing narrative itself. Also, we lack good terminology as the distinction between film, television, online videos with or without music tracks makes discussing these various types of input into our senses problematic. Also, will we get notifications that our comments have been answered because remembering to check back and then finding an answer is difficult. I notice a lot of comments are awaiting moderation, something else that makes it difficult to keep up. Streamline the process. We are all responsible intellectuals here. This is not a board where we would find the kind of verbal violence we might elsewhere on the innertoobs or maybe I am wrong to assume that?